Last week, the federal government hosted a Roundtable on Women’s Economic Participation in honour of our dear colleague, Kate McInturff. Kate touched many lives with her intelligence, wit and passion for social justice—here in Canada and around the world. She was able to expertly shift from relatable media pundit to feminist compatriot to policy advocate—testifying to decision-makers about policies that would lift women out of poverty, narrow the wage gap and address gender-based violence. No doubt, she would have been pleased about the opportunity to review the government’s record on gender equality since taking office, and to offer up new ideas to advance gender equality in the coming year. Kate always had her eye on the end game. Building a system of high quality and affordable child care for all through new investment in early learning and child care, as well as establishing targets and measures in the next round of bilateral agreements with the provinces and territories to expand licensed, not-for-profit care, enhance affordability, and raise the quality of services on offer. Investing in the sectors where women work and, in the occupations, where women earn a living wage. 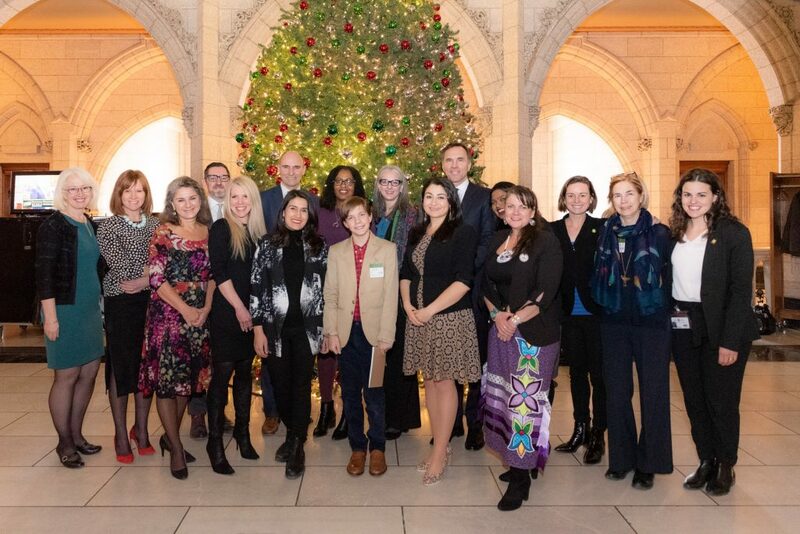 Ensuring the successful implementation of the new proactive Pay Equity Act for the federal public sector by providing the resources and staffing needed to support training and education, compliance and enforcement, and introducing a robust mechanism for pay transparency. Tackling gender bias in income security programs such as Employment Insurance, pensions and the Canada Workers Benefit. Just as income security programming is often poorly tuned to the current labour market, these programs are also poorly tuned to women’s employment patterns. There is more. Kate was also a passionate advocate of women’s organizations. Comparative research has demonstrated over the decades that women’s organizations make an essential contribution to ensuring that public policy works for women. Yet women’s organizations are amongst the most underfunded nonprofits in the world. In Canada, direct federal funding of women’s organizations represents a miniscule proportion of the budget. In 2015, it was less than one one-hundredth of one percent of total federal program spending. New investments in the Women’s Program and the Strategy to Prevent and Address Gender-based Violence, as well as the internal capacity of the Status of Women Canada have improved this situation. The departmental budget will more than double by the next fiscal year. But this still amounts to less than two one-hundredths of one percent (0.017%) of total federal spending. After a decade of neglect, feminist scholars and advocates at the Roundtable stressed, there is still much to do. The Alternative Federal Budget 2019 is recommending that government raise departmental funding to $100 Million—here including the Women’s Program—and bring federal per capita spending on gender-based violence in line with provincial spending in this area at an estimated cost of $500 million annually. The Roundtable on December 13th was a moment to remember our wonderful colleague and celebrate her remarkable legacy. It was also a moment to reflect on the work ahead. It is no longer 2015, and the 2019 election will be a telling bellwether of just how deep the political will is to keep moving on tangible, impactful policy that will address the persistent gaps in women’s personal and economic security. To truly close the gap for women living in Canada, we need sustained action. We need better funding for women’s organizations. We need policy that targets discrimination against Indigenous and racialized women and women with disabilities, and much more. And we need decision-makers willing to put in the long-term work necessary to achieve lasting change, beyond the next election. To honour Kate’s legacy and carry on the important work of fighting gender-based inequalities, the Canadian Centre for Policy Alternatives is establishing a fellowship in her name. You can learn more about the fellowship here. Calculations based on Federal Budgets (2009 – 2018), Status of Women Financial Statements (2009 – 2018), Status of Women Plans and Priorities Reports, Department of Finance forecast expenditures.